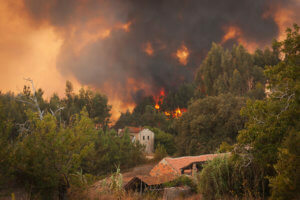 Wildfires can be devastating for property owners. Many are left with complicated questions. Most importantly: Will my property insurance policy cover wildfire damage? The short answer is that the majority of homeowners’ insurance policies do offer coverage for this type of fire damage. However, the longer answer is that this is a complicated issue and actually obtaining full benefits can be challenging. Here, our San Francisco fire litigation lawyers highlight three of the most important things that you need to know about California wildfires and property insurance coverage. Ultimately, your ability to recover compensation for wildfire damage will depend on the terms of your specific insurance policy. While most property insurance policies do offer coverage for fire damage, you need to understand your coverage. If you live in a high-risk area, you may have been locked out of the traditional private market and forced to get coverage under the California FAIR Plan. Regardless, your insurance provider is required to provide you with a copy of your policy when you request one. On October 13th, 2017, the California officials declared a State of Emergency in response to the North Bay Fires. As the state’s Insurance Commissioner Dave Jones reaffirmed in a November press release, a state of emergency alters the rights of policyholders. Specifically, all policyholders affected by these fires have 24 months to file a claim, no matter of the terms of their individual policy. Additionally, policyholders are not required to rebuild their property in the same location to receive benefits. Unfortunately, even if you are able to get your insurance company to acknowledge that your fire damage is covered, you may still be facing a long road to get fair compensation for your losses. The big insurance companies are notorious for undervaluing damages and underpaying claims. You should not accept any less than you deserve under the terms of your property insurance policy. If you are having any trouble getting a fair settlement offer, or you have any questions or concerns about the actions of your insurance company, you should speak to an experienced Bay Area attorney immediately. Was Your Property Damaged by a Wildfire? We can help. At Bracamontes & Vlasak, our dedicated Bay Area fire damage lawyers have extensive experience handling wildfire damage claims. If your property was damaged in a wildfire, we can help. To set up a free, no obligation review of your claim, please call our team today at (415) 835-6777. From our office in San Francisco, we represent property owners throughout Northern California.